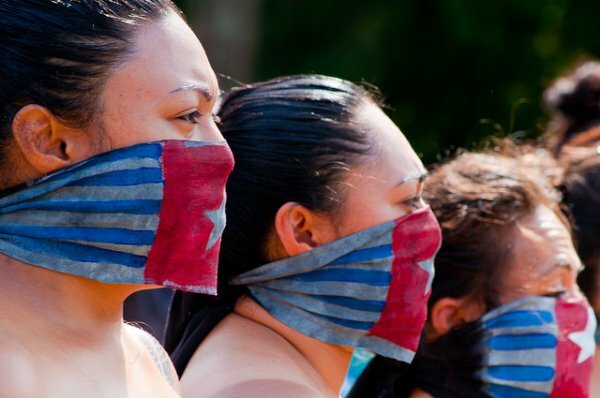 A Green Party MP, Catherine Delahunty, called on the New Zealand Government to act in accordance with a recently passed parliament resolution regarding media freedom in West Papua. During a rally, human rights and political activists demonstrated for media freedom and the release of two international journalists who had been detained by the Indonesian police. A Green Party MP has urged the returning government in New Zealand to make good on the recently passed parliament resolution to press for media freedom in West Papua. Catherine Delahunty was one of the speakers at a rally held on Tuesday outside New Zealand's parliament calling for media freedom in West Papua and the release of two French journalists detained by Indonesian police in Jayapura for seven weeks. There have been ongoing calls by international rights and media groups for Indonesia to release the pair. Ms Delahunty says the New Zealand government must act on the resolution. "To actually say to Indonesia and its new President who is coming in to power shortly, that they must ensure there is genuine media freedom and safety for people in West Papua and to free these French journalists. If you have nothing to hide, what is it that you fear? You fear the light of day, you fear the truth."